Slicer 905 | Weber Inc. Select one of the extensions above to reveal the full potential of the Weber Slicer 905. 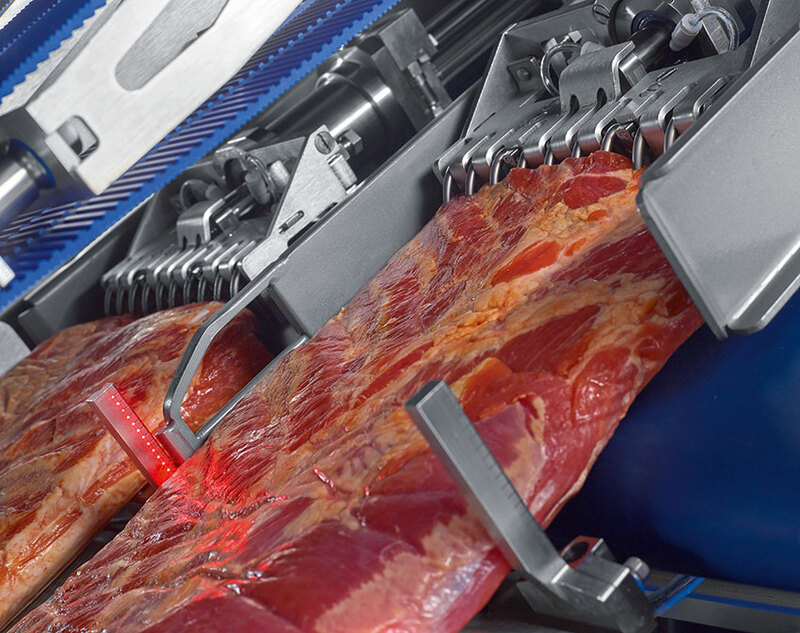 The Weber Slicer 905 combines innovative slicing technology with versatility, efficiency and ease of operation. The extremely wide cutting throat and blade speeds of up to 2000 rpm allows the industry’s highest throughputs. 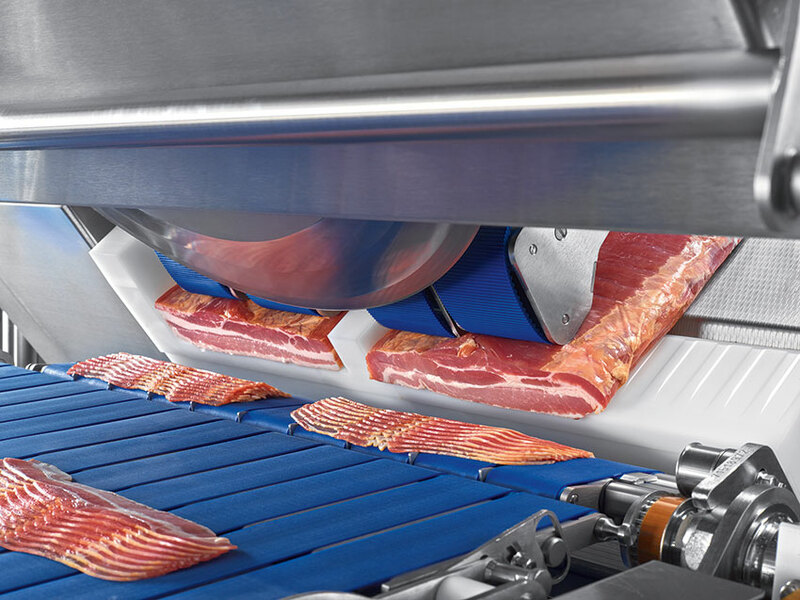 The improved product control system provides perfect slicing results. Delicate and odd shaped products are easily loaded and sliced. 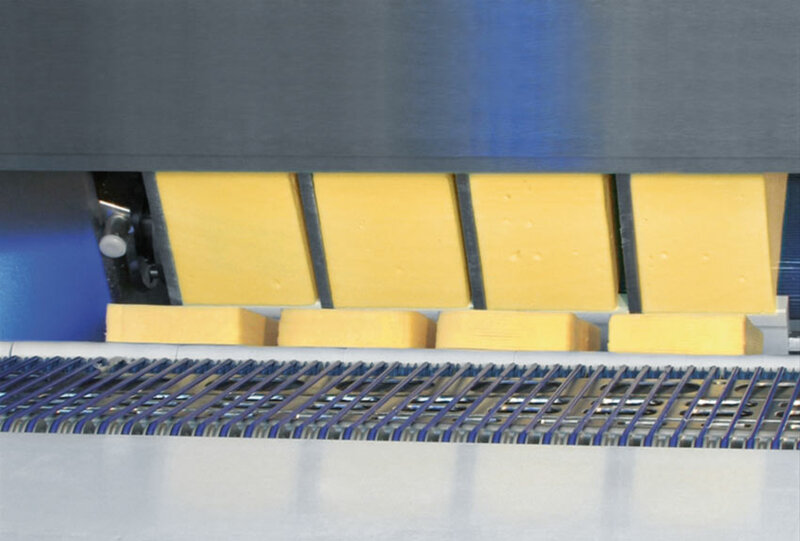 The open frame design of the 905 allows easy access for operation, maintenance, and cleaning functions. 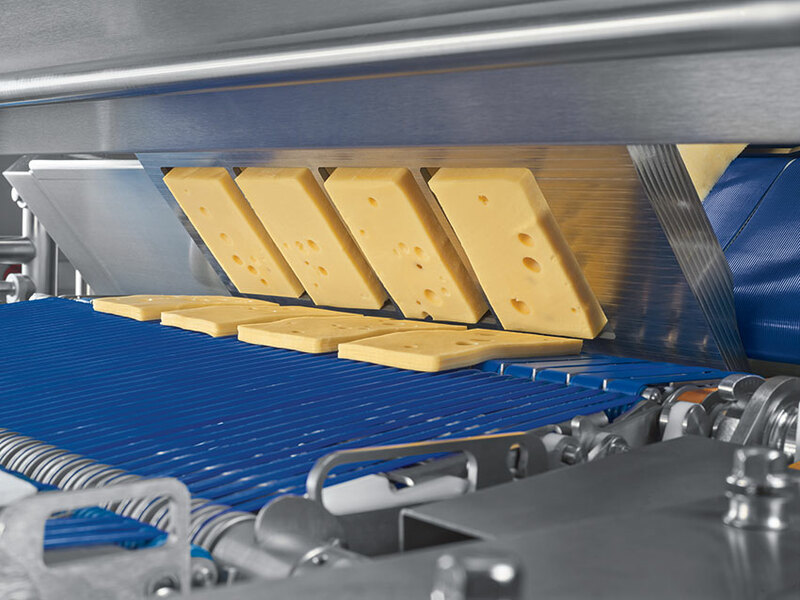 The product control system has been upgraded to allow for more hygienic operation and quicker disassembly for cleaning. The Weber 905 has been designed and constructed to meet the world’s highest sanitation standards. 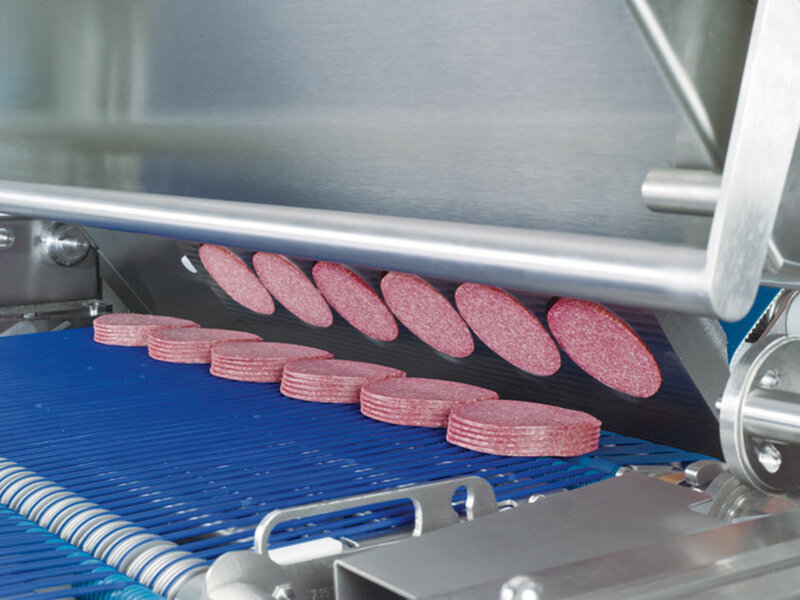 The modular design allows the Weber 905 to be used in conjunction with all Weber up and down stream accessories such as stacking, party tray, automatic infeeding unit, etc.